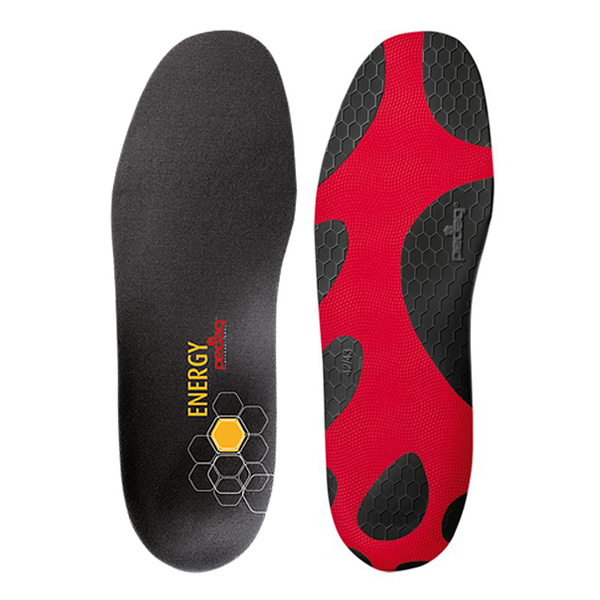 Ideal Insole for every kind of sport. Protects feet and joints, absorbs impact shock. Provides more stability and endurance. High tech fabric provides excellent grip, keeps feet dry and hygienic. Available in two arch heights - mid or high. Thermo formable to adapt to the anatomical shape of the foot.